At the Bauhaus Muhely, Vasarely became familiar with contemporary research in colour and optics by Johannes Itten and Josef Albers. 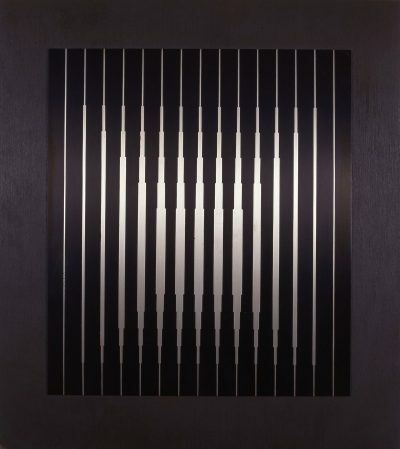 His lifelong fascination with linear patterning led him to draw figurative and abstract patterned subjects. 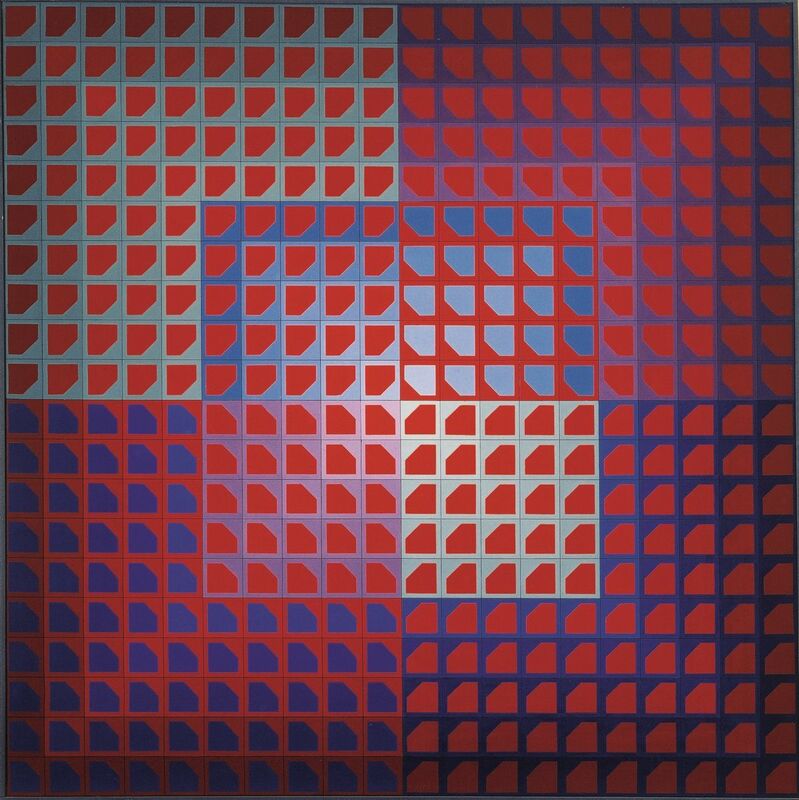 Recognizing the inner geometry of nature, Vasarely transposed forms from nature into purely abstract elements in his paintings.’Lant’, reflects his enduring fascination with linear patterning and the relativity and interaction of colour. 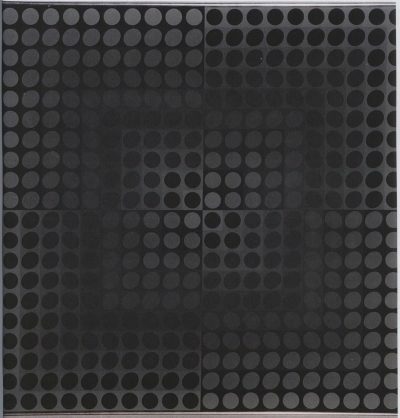 Vasarely’s conviction that the completion of the painting is in the eye and mind of the spectator echoed Duchamp and anticipated Conceptual Art.